For more analyzers and more information view the catalogue on our downloadspage. Here you can find the specific markers per group. 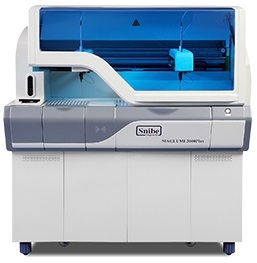 If you are interested in one of these automated Immunology analyzers, please contact us for more information! We can meet to discuss your wishes and options, but also share the latest SNIBE data from 2017 RIQAS studies. 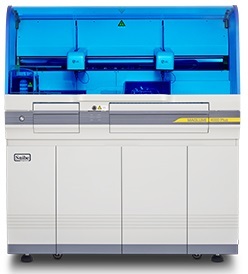 Provider of automated chemiluminescence immuno-analyzers. Snibeis a leading company in the In-Vitro Diagnostics (IVD) industry in China. They strive to help humanity through diagnostic innovation. For 20 years they have kept a main focus on the research and development of immunology testing systems. 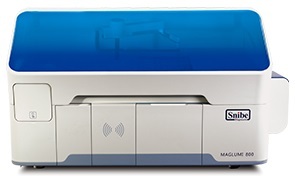 The success of their automated chemiluminescence immunoassay (CLIA) systems (Maglumi series) is evident in the fact that they have more than 6000 units installed globally. Their Maglumi systems continue to assist numerous doctors, clinicians and technicians in diagnostic laboratories in more than 100 countries and regions around the world. They promise that their end-users will have more and more testing options as they continue to launch new products in the near future.